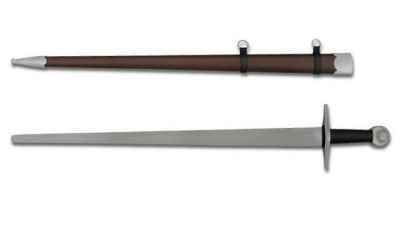 The second sword in a series of performance oriented swords designed by Gus Trim and produced by Kingston Arms, this early 13th Century style arming sword has a very slight forward balance... making it quick in the hand and devastating in the cut. 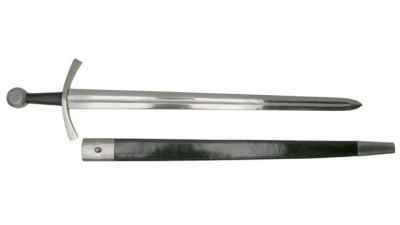 Based on Oakeshott's Type XIV specification these swords were used in the 13th to early 14th Century in that transitional period from mail armor to the full on plate worn in the 15th Century. This sword is therefore more cut oriented than later period swords with a more acute point than earlier examples. This melding of cut and thrust ability coincides perfectly with use of the sword and shield or buckler of the time. We spent a lot of time discussing with Gus his methodology for developing what he would call a "performance-oriented" sword. Without getting too deep into it Gus, along with Tinker Pearce, was one of the pioneering sword makers to incorporate the notion of harmonic balance into his sword designs. Informed by historical examples and his own experimentation Gus has been making swords for decades now that seem to float in your hand. For this sword Gus left the aesthetics and materials up to us, it was the design (weight, balance, taper, harmonics) we had to get right. It took several rounds of samples (not to mention a botched first run) but we finally nailed it. Not satisfied with just getting the design right we wanted to push it farther. 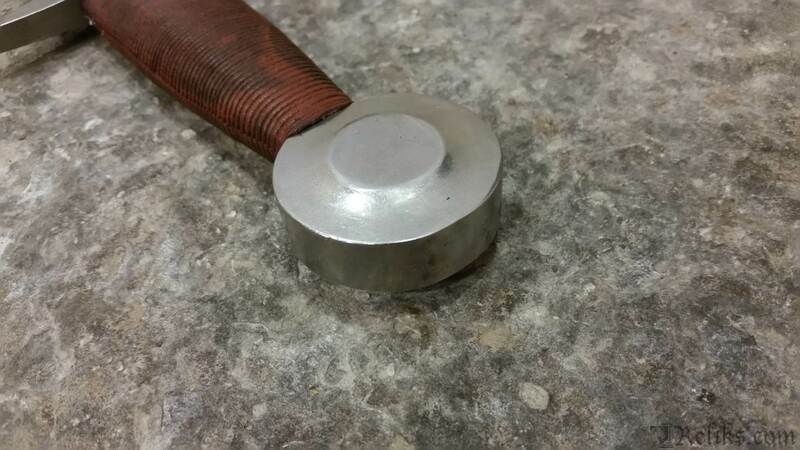 We had the fundamentals down but chose to take the materials and fit and finish a step ahead. The blade is hand forged mono-tempered 9260 spring steel, flat ground with a handsome satin finish. The fittings are high quality stainless steel exactly matching Gus's design. The grip is a solid wood core, cord-wrapped for strength with a textured leather over-wrap. The scabbard is a solid wood core, with stainless steel chape and stitched leather wrap. 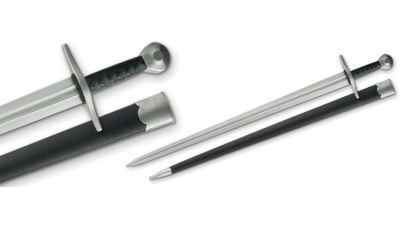 Bottom line, these are the best performing production medieval swords available. 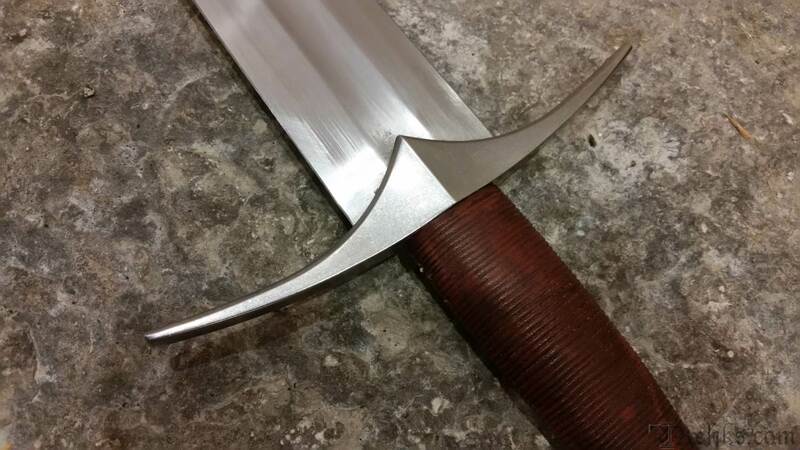 Arming Sword Atrim Design - This early 13th Century Arming Sword has a very slight forward balance, making it quick in the hand and devastating in the cut. 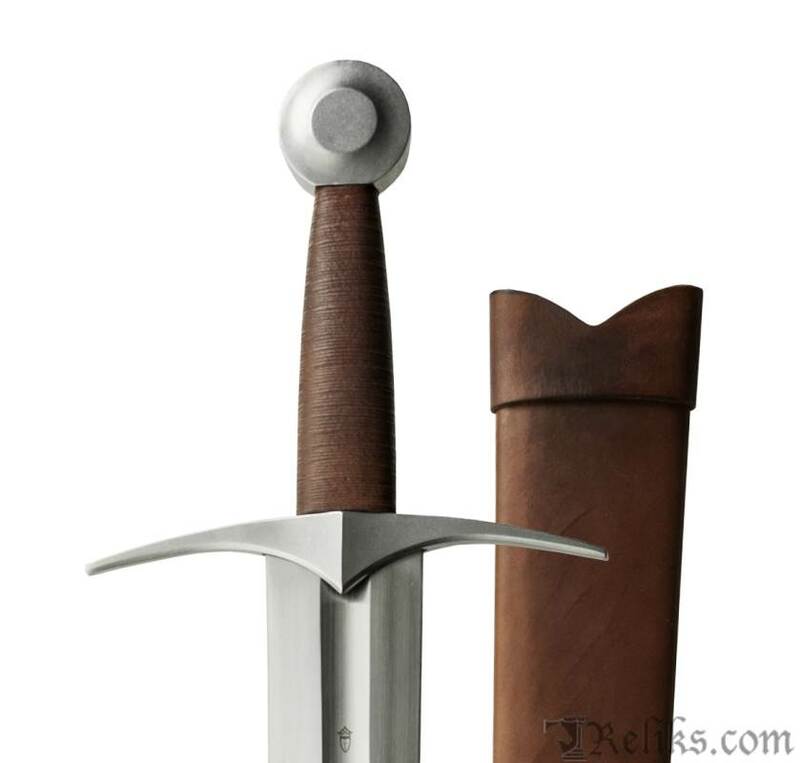 Arming Sword Hilt - The grip is a solid wood core, cord-wrapped for strength with a textured leather over-wrap. 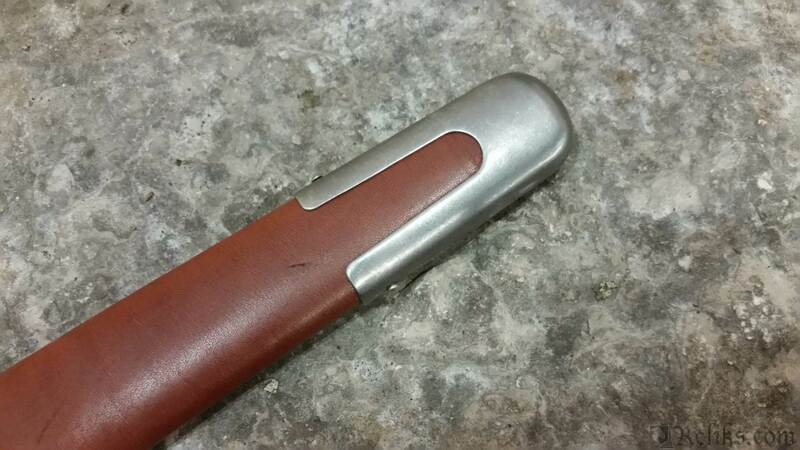 The scabbard is a solid wood core, with stainless steel chape and stitched leather wrap.